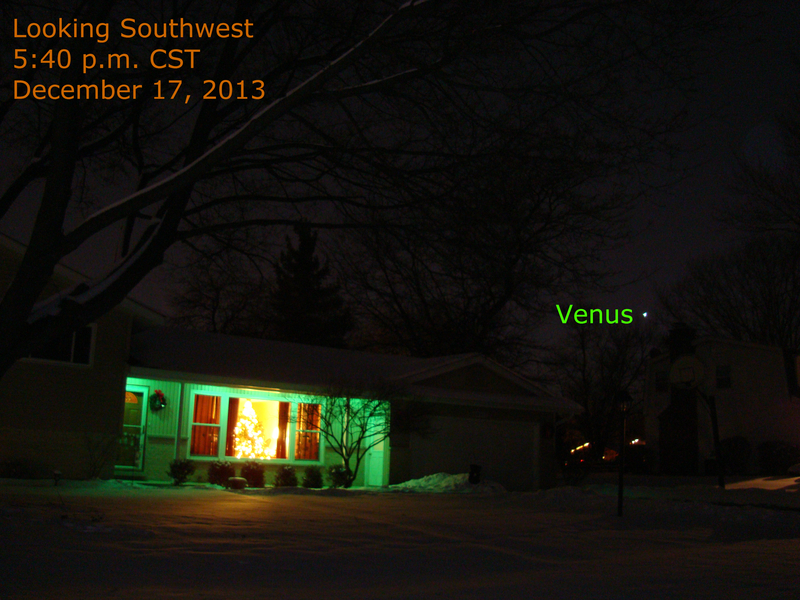 Brilliant Venus gleams in the southwestern sky this evening as seen from the Chicago area. (Click the image to see it larger.) Just 25 days before inferior conjunction, Venus is now setting about 2 hours after the sun. This rapidly decreases from now until January 11, 2014. Read more about the planets this month. Read more about Venus as an Evening Star.